Hi there! 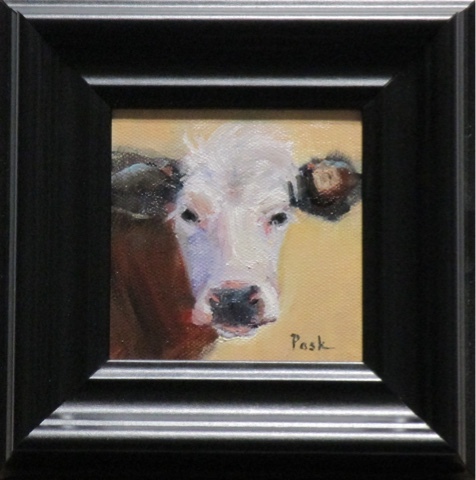 This little oil painting is offered with a buy now option. Comes framed in a custom black frame and including frame it measures 7" x 7" a sweet painting painted from a photo I took in a park near my home. I had such fun shooting these photos, my husband was feeding them while I squatted down and shot photos very near their faces. This painting is $65 plus $5 shipping, I ship within the continental U.S.
Hello, I am offering this little painting on a buy now through PayPal. 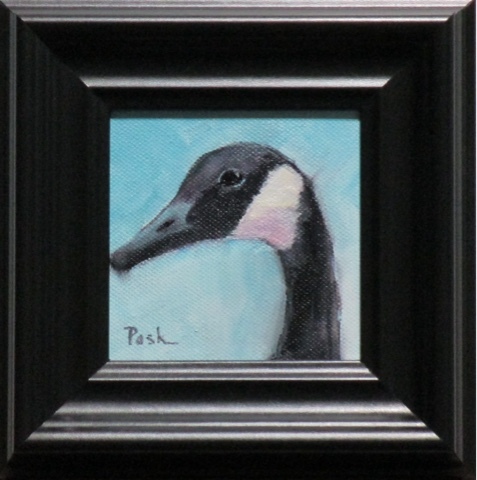 It is painted in oils on a 4" x 4" stretched canvas and comes in a wood black custom frame, framed it measures 7" x 7". It is $65 plus $5 shipping, I ship anywhere within the continent US. Tomorrow night is open house at the Artist Lounge, 105 East Main St. in Mason, stop by from 5-9 for a fun night, drinks, food, music and great art. to follow. 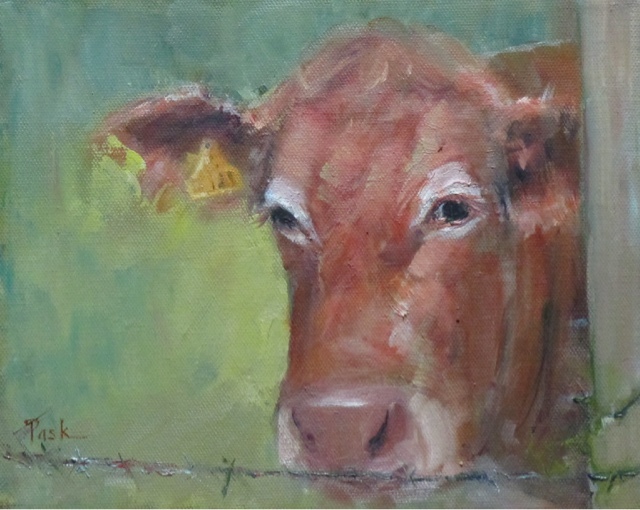 Her paintings are lovely and her blog is so interesting to visit, please stop by there. Martinealison.blogspot.com.